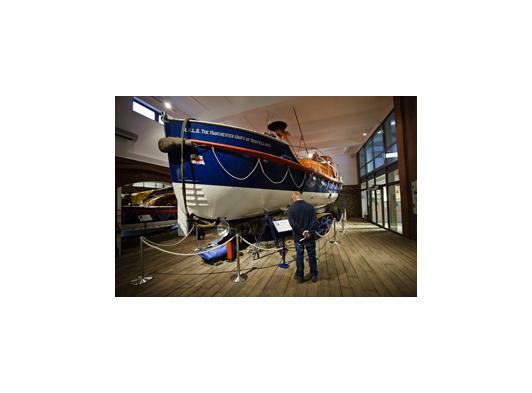 Starting with the breath-taking Boat Hall, our ground floor displays showcase Sheringham’s unique collection of lifeboats, placing them alongside historic fishing boats and seaside stories. Peer into a fisherman’s cottage, hear about the miracles of boat building and wonder at the many crafts and traditions of everyday fisher-family life. 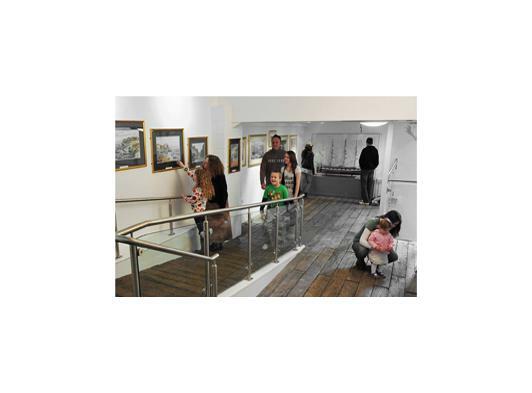 Diverse displays include the charming, colourful shops of Shannock Street, two changing exhibition galleries and the action-packed Sheringham Shoal Wind Farm Visitor Centre – designed by one of the teams behind the Science Museum. You’ll find out more about Sheringham during the war years and about the remarkable Upcher family of Sheringham Park. Plus set out along the gantry for spell-binding views of the great life boats below and dramatic archive film of rescues at sea. 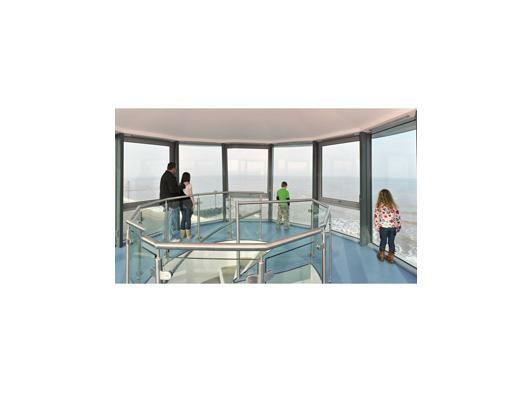 Enjoy stunning views across the North Sea, over the higgledy piggledy streets of Sheringham and to the cliffs and hills beyond. Entry to our well-stocked shop is free. We have a lovely selection of items from pocket money treats to crafts and pictures by local artists, and from jams and confectionary to books on local heritage and nostalgic souvenirs of many different kinds. 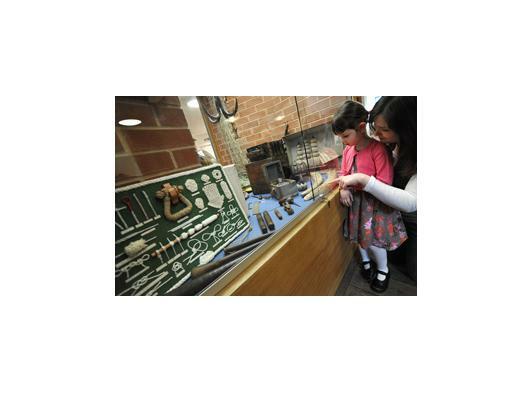 We hold a fascinating collection of objects relating to the history of Sheringham. If you have an enquiry about our collections, or a particular topic (for example, World War One in Sheringham), please contact the museum, and we will do our best to assist you. 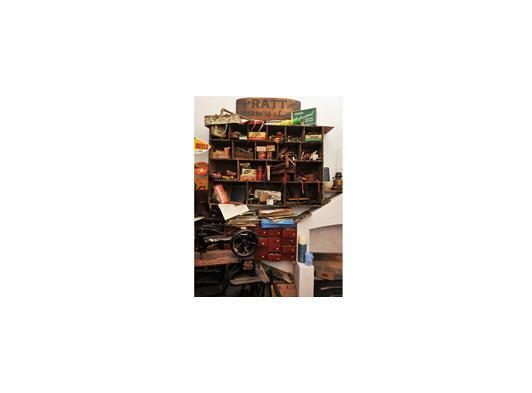 There are two exhibition galleries and a third temporary exhibition space so there’s always something new to see. We are also constantly working on and adding to our displays as we acquire new objects and information. Please contact us on 01263 824 482 for all other enquiries.